You can learn a ton of great information off-line, on-line, from books and my articles but when you are in the "Real- World," it is tough to be "on" and creative, for most men isn't it? I don't know if you have ever had this problem, but when I was first learning these skills to be confident and relaxed around women, I would do a massive amount of preparation, memorizing a bunch of phrases and stuff. I would finally get past my approach anxiety "the nerves" and start talking with a woman. "Hey, my name is Ange..."
And after I got the conversation started (especially with a "hot woman")...BLAHHHHHHH...I wouldd get nervous when I could not remember any of the stuff I had memorized. "Do I say that thing about this or that or more more"? Or do I tease her? What was that great teasing line I thought of the other day...? Uhm... Ahhhggg... Errr....Damn!" Finally she says, "Oh, my friends are over there, see you later..."
And then, as she is walking away, and you are kicking yourself. Well, let us deal with this problem. CAUTION: I am not advising you to learn and rehearse someone else's words! Come up with things of your own that are TRUE to talk with women about and other people about. No fake stories (Unless your playing around and setting up for a joke) and most of all no lying. You do not need to make stuff up or use someone else's words to be interesting to women or anyone for that matter! You see, I found out that just sitting at home on my couch reading this stuff on my computer was not enough when I started out really getting to know about women. Studying, researching, understanding is great. And there is no substitute for getting out there and gaining the experience of PRACTICE! I had to go out and practice lots in the REAL World. And even that was not enough, so I tried something a little different and off the wall. Here is my technique for being prepared and NOT losing it in front of a woman. I am assuming that you have walked up and said "Hi" or some other opener to get the conversation started with her. I have shared with you plenty of methods in these articles, and you can learn many more in my Dynamic Life Development Relationship Systems. And, as you know, it is not what you open with that is important, but what you say NEXT that will make the difference. And how do you keep it going with all the stuff you want to talk about? And if you are not aware, I post lots of these tips on my Facebook Page and on my Google+1 page about conversation starters and how to break the ice in any social situation. Let us say you know you want to talk about your passions and interests with a woman, and you have thought of a great way to bring it up and talk about it. And, let us say your passion is photography. Okay, so now we have got a couple ways to bring up your interests in conversation, without bragging AND at the same time communicating to a woman that you have got a hobby in your life that brings out your passion. Maybe you have some great questions to ask, and things to say that you think of when you are at home, but now you need to have it ready all the time. You want to be able to come up with this when you are out and about, but you find yourself constantly forgetting it when the pressure is on. Modalities are simply your senses. Sight, smell, hearing, taste,touch and intuition. So you want to spend some time before you go out writing these words down, whether it is the questions you want to ask, or just a list of topics you want to bring up in conversation. This will engage your "kinesthetic" senses. Then you want to spend some time saying the words out loud. This will help you rehearse and say things smoothly, and it also engages your "auditory" hearing. And you also want to spend some time reviewing things on paper. Read and re-read the phrases and information you want to commit to memory. This will engage your "visual" senses. But even this is not enough for most of us. You need ONE extra simple step to make this work, and it is something that not many men know about. I have a special method that increases your results about 100%. Back when I was in University, I used to have a good method of learning material I needed for tests. I would cram all my notes on a piece of paper with facts, writing stuff everywhere, and in every direction. On the margins, sideways, whatever. Well, we all did this in some way or another with our notes. What you do not realize is that you were not learning the information as much as you were learning WHERE that information was on the paper. You got locked into recalling the information based on WHERE it was, not WHAT it is. That's right, it was not the information you were learning as much as giving your brain a LOCATION for that information. It is called "spatial relationship," and it is how your mind stores information. It is more important to give a RELATIONSHIP to the information to make it stick. Like right now, if you close your eyes, chances are you can recall where almost everything is in your bedroom, or another room in your apartment that you are very familiar with. So here is how you use this "Situational Rehearsal" technique. It is based on the way your brain really learns. And you will get at least 10 times better retention and recall of information if you use it. In my previous example, you came up with a great way to talk about photography, your passion. And you came up with a great way to actually SAY it to a woman. You may even have learnt some about "Open Questions" that you want to memorize to use. And if you do not know anything about "how" to use open questions? I suggest you best learn fast. Recall and recite the words when you're in the shower. Call your home voice mail and recite it back as a message. It will put you "on the spot" - AND it will give you a chance to review how you said it later. You can do this with your cell phone voice mail, too. Recall and recite when you are driving in the car. Recall the words when you are watching a television show, as if you are saying it to the people on the screen. Put a Bluetooth headset on (or any cell phone earpiece so it looks like you are talking on your phone). Then, go out and recite what it is you are memorizing when you are out in public on a city street or in a store. Do not worry, other people will just assume you are talking to someone on your cell phone. And this method will help you get over your fear of looking foolish in front of other people. AND it gives you a killer rehearsal for saying it in front of a woman. The point of this is that you must get out there and put yourself in as many DIFFERENT situations where you have to recall the information you are trying to memorize. The more situations you find to rehearse in, the better you will be when it counts - in front of a woman. By using this method, you activate millions more neurons in your brain, which commits the words DEEP into your memory. And then this helps you pull out the words when you really need to, and you will not have any of those embarrassing gaps and silences in your conversations with women. Now if you would like to learn more valuable methods for handling conversation and talking with ANYONE, ANYTIME, ANYWHERE. 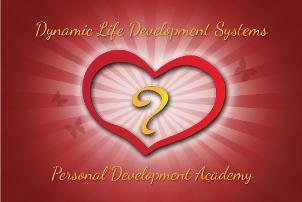 I highly encourage you to work with me in my Dynamic Life Development System. I spent many years researching and practicing all the latest knowledge on conversation and communication between people to give you the most complete understanding of how to create thrilling and intriguing conversations with women, with friends - with ANYONE. "I wanted to tell you that I really am really enjoyed working with you Ange. I learnt to understand what goes on at so many levels in communicating with women. I appreciate the fact that there are no rehearsed gimmicks or lines that I need to know but rather it affords me the opportunity to create my own game for life in general..."
I will be back again soon with more tips and techniques for you. To help you DEVELOP your Confidence and build a GREAT life for yourself. Be An INSPIRING MAN! The Traits of the Warm Masculine. Before we dive into the realm of attraction and connection building. I have often wrote and mentioned behaving as - an Masculine Man. Displaying the traits of an Alpha Male.